Martha's Vineyard is one of the most popular locations for destination weddings. Martha's Vineyard is an island off the coast of Massachusetts and is full of old world charm and natural beauty. This bridal directory can help brides plan their weddings at this beautiful island location off of the coast of New England. 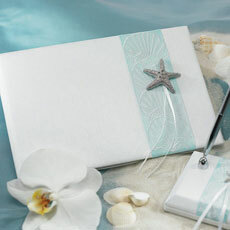 In addition to our fine vendors, don't miss our unique beach theme wedding accessories, beach theme wedding invitations and beach wedding favors! Seashells - for your Beach, Hawaii or Destination Wedding. Be sure to visit Island Alpaca while at the Vineyard! Disclaimer: The following information is provided as a service to couples seeking wedding related goods and services. The consumer is encouraged to research any given business to insure that the products and / or services are to their satisfaction. By use of any of the information listed throughout this site, the user agrees to hold the administrator of this page, harmless from any consequence which may arise from utilization thereof. Links are added at the discretion of the web master and not guaranteed.